Meat grown in a laboratory may do more damage to the climate in the long run than meat from cattle, new research suggests. Current proposed types of lab-grown meat may not provide a cure-all for the climate impacts of conventional meat production. The first-of-its-kind study assessed the climate-change impact of several production methods for lab-grown and farmed beef accounting for the differing greenhouse gases produced. New projections reveal that replacing cattle with cultured meat may not be a simple replacement of high-impact with low-impact. 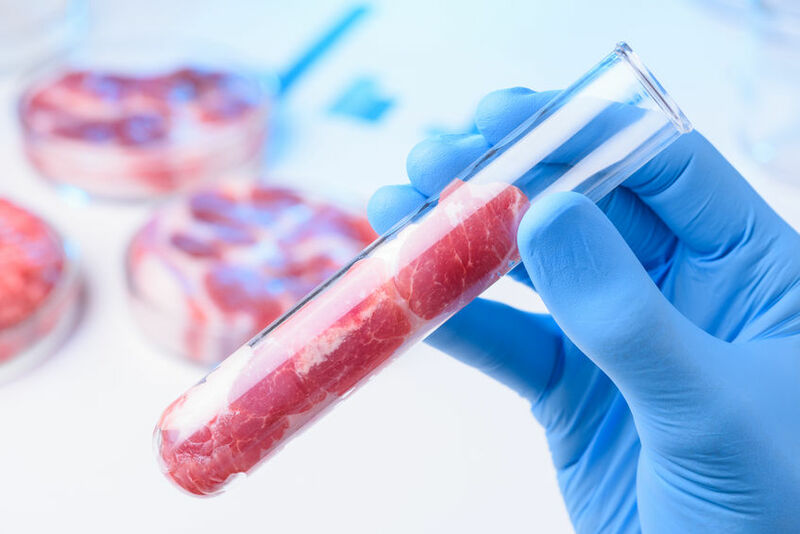 The study, from Oxford Martin School, found that some projections for the uptake of particular forms of cultured meat could indeed be better for the climate, but others could actually lead to higher global temperatures in the long run. Published in Frontiers in Sustainable Food Systems, their findings highlight that the climate impact of cultured meat production will depend on its energy demands and the availability of low-carbon energy sources. Lead author Dr John Lynch said: “There has been a great deal of public interest in cultured meat recently, and many articles highlight the potential for substituting cattle beef with cultured meat to provide an important climate benefit. Agricultural greenhouse gas emissions are responsible for around a quarter of current global warming, researchers say. Replacing conventional cattle farming with ’labriculture’ – meat grown in the lab using cell culture techniques – has been widely discussed as a way of reducing this environmental impact. But these estimates are based on carbon-dioxide equivalent footprints, which can be misleading because not all greenhouse gases generate the same amount of warming or have the same lifespan. “Cattle are very emissions-intensive because they produce a large amount of methane from fermentation in their gut,” said study co-author Raymond Pierrehumbert. “Methane is an important greenhouse gas, but the way in which we generally describe methane emissions as ‘carbon dioxide equivalent’ amounts can be misleading because the two gases are very different. “Per tonne emitted, methane has a much larger warming impact than carbon dioxide, however, it only remains in the atmosphere for about 12 years whereas carbon dioxide persists and accumulates for millennia. “This means methane’s impact on long-term warming is not cumulative and is impacted greatly if emissions increase or decrease over time,” he said. To provide a comparison of the potential climate impacts of lab-grown meat and beef cattle, researchers examined available data on the emissions associated with three current cattle farming methods and four possible meat culture methods, assuming current energy systems remained unchanged. Using this data, they modelled the potential temperature impact of each production method over the next 1000 years. Their model showed that while cattle initially have a greater warming effect through the release of methane, in some cases the manufacture of lab-grown meat can ultimately result in more warming. This is due to the fact that even if consumption of meat were entirely phased out the warming from carbon dioxide would persist, whereas warming caused by methane ceases after only a few decades. “This is important because while reducing methane emissions would be good – and an important part of our climate policies – if we simply replace that methane with carbon dioxide it could actually have detrimental long-term consequences,” warned Dr Lynch. The study also highlights that both cultured meat and cattle farming have complex inputs and impacts that need to be considered in fully appreciating their effect on the environment. For example, creating more grazing land for cattle often results in significant deforestation that could greatly increase the CO2 footprint of cattle systems (but can prove difficult to standardise in emissions footprints), while producing food in urban laboratories could free up land for storing CO2 (known as carbon sequestration) or other purposes.